We are getting ready for our annual trip to Disney World soon. 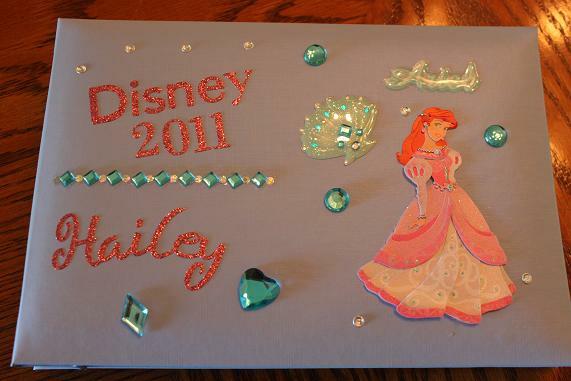 This year I decided I wanted to make autograph books for Hailey rather than buying them in Disney World. The last few years the autograph books have been the same and I didn’t want to get them same thing again, so I figured I’d be really original and make them for her. I wasn’t really sure where to start so my mom met me at the craft store (AC Moore and Michaels) to help me figure out what to get. We ended up getting a small 5×7 size photo album/scrapbook. 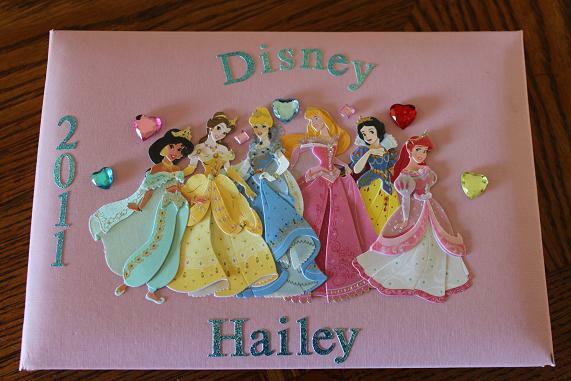 I also bought colored cardstock and scrapbook stickers to decorate with. This is the cover of the first book. 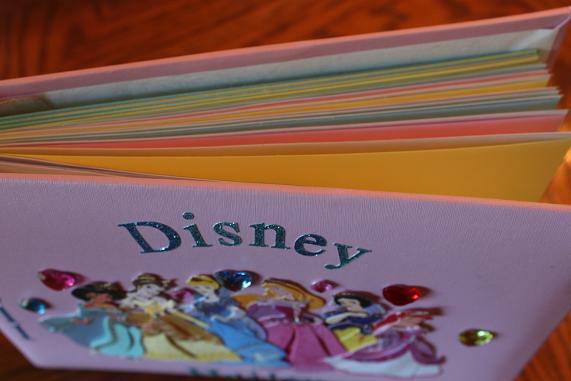 Inside there is a variety of pastel colored cardstock and the photo album pages that came with the book. They are every other page so that she can get an autograph on one page and when we get home we can put that characters picture next to the autograph. 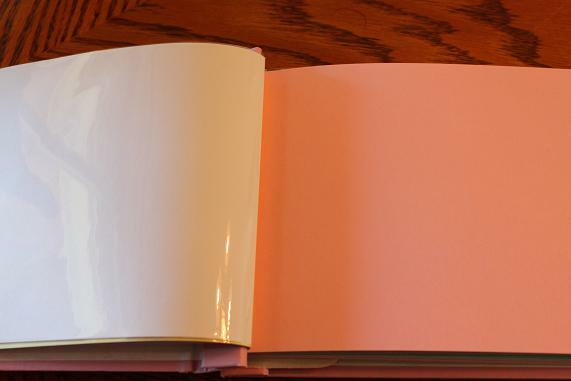 And since she loves getting autographs so much I made 2 books to make sure we don’t run out of pages.